I thought around 75 mins Ronaldo needs to come off. He is having a terrible game. I like that #14 Austrian player!! Babababababa or whatever his name is! Ho ho ho ho! The show always has to be about him? He has to be the captain. 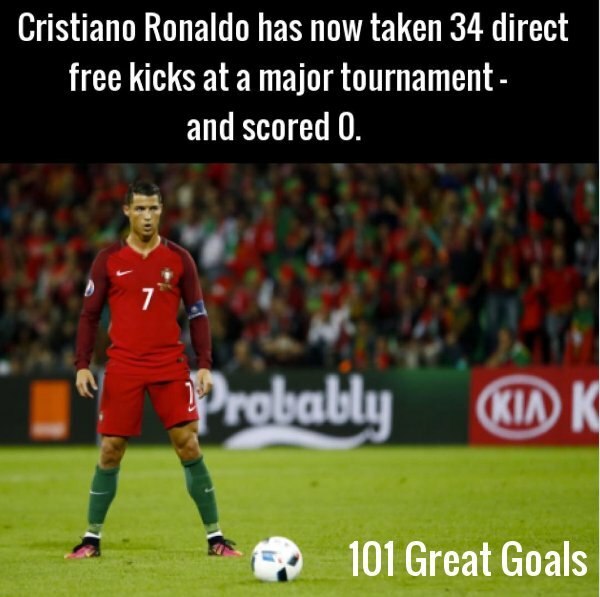 He has to be the one who takes the free kicks. He has to be the one to take penalties regardless of form or situation. And he fails. The Portugal national squad isn't a team, it's a personality cult centred around Ronaldo and Ronaldo only. And that's why they fail and look pathetic. Arguably the least interesting group but Ronaldo missing pens makes it more interesting! Be amazed though if he doesn't pop up with something in the deciding third game this week. HAHA can't stand fake face Ronaldo and the game made me laugh , still makes me smile now. Hope Portugal go home but it is all set up for a Ronaldo next time out. 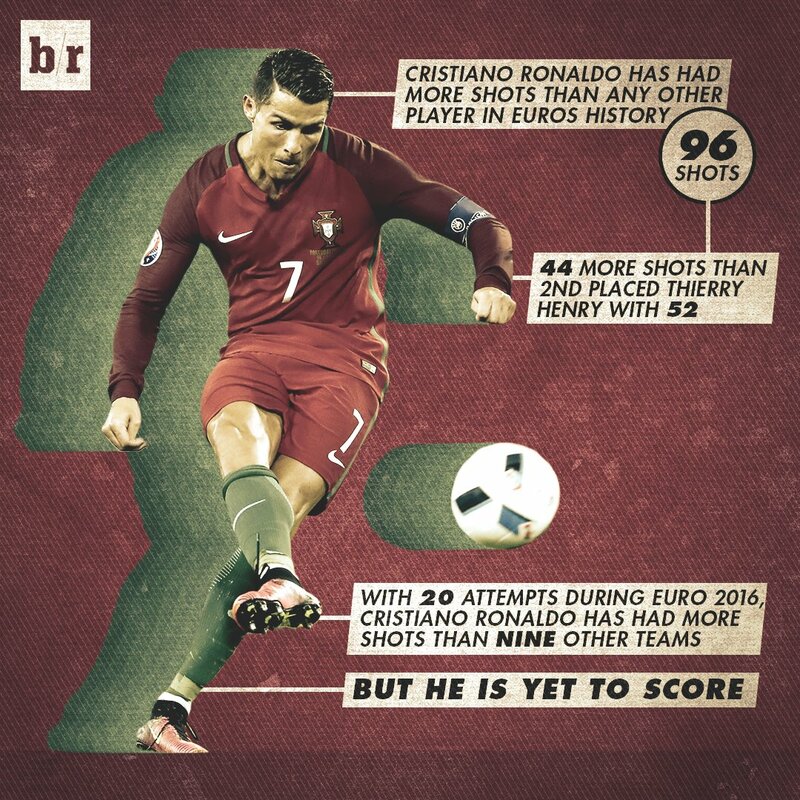 Ronaldo has had more shots than some teams in the competition. Still yet to score and missed a penalty hahaha! Think everyone was wanting him to miss after his lack of respect towards Iceland. I love the fact that ladyboy has failed miserably at a major tournament once again. Portugal won't improve or challenge for honours until they get him out of the team and allow their other players to flourish away from his shadow. This was before the Austria game. Tbh, if he didn't come out and trash talk Iceland, I wouldn't have had a problem with him or Portugal. 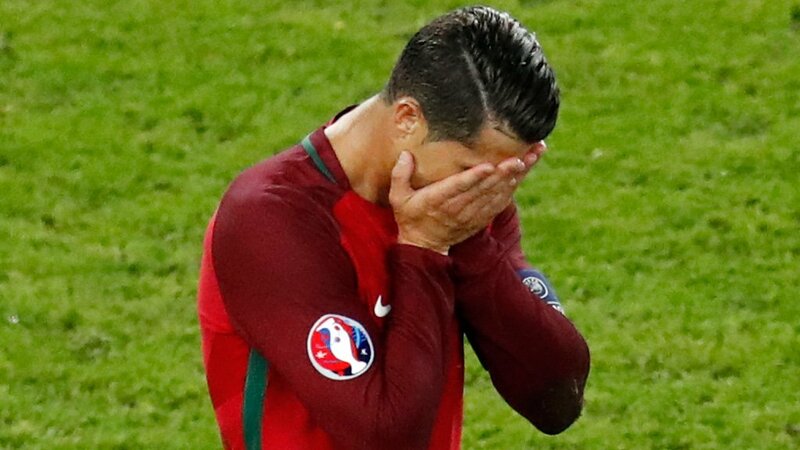 I just want to see Ronaldo fail, and to see that happen, Portugal will have to fail. Not the country, just the ones that cheat, dive, and are generally pounces, Portugal see to have a little collection of them at present, it'll pass. Oh yeah, and Pepe too, forgot about that c**t! Deffo not your country, ronaldo and pepe yes, country nope. From my end anyhoo. not your Country mate not at all and am I right in thinking he was not born in Portugal but Maderia ? Don't think much of Carvalho either. Relentless hacker. And the list goes on... don't forget Maureen! This could get a tread of it's own at this rate.